Siobhan Berry of MummyCooks.ie shares a quick and easy breakfast the family will love. Place a pot over medium heat and add the water. Bring to the boil. Carefully add the eggs to the water, using a slotted spoon if needed. Allow to boil for 3 minutes to ensure they are cooked through and safe for your baby to eat. While cooking, pop the bread in the toaster. Remove the eggs from the water using a slotted spoon. Peel the shell and allow to cool for 2 minutes. Once cooled slightly, slice the egg. 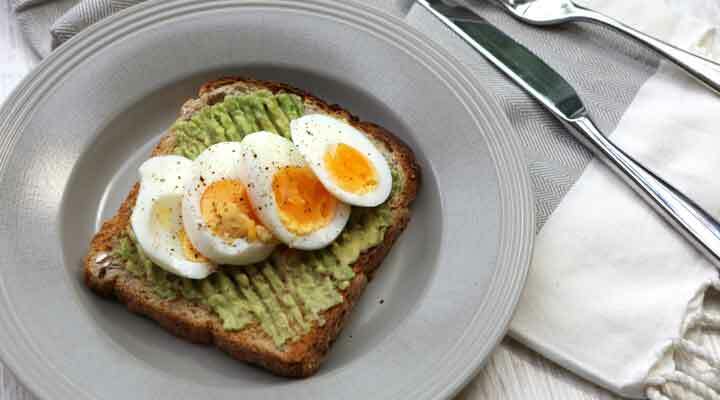 Spread the avocado on the toast and top with the sliced egg. Alternatively, mash the avocado separate to serve as a dip. Cut into slices and serve warm for the perfect breakfast finger food. This recipe is perfect for weaning babies 6 months+ or at stages 2+ of their weaning journey. Slice the toast with smashed egg into fingers and serve with mashed avocado as a dip for baby to have a hands on feeding experience. Best consumed fresh and warm and not recommended to store or freeze eggs after cooking.